The next ISCB Latin America conference will be held March 19-21, 2012, in Santiago, Chile. Visit the website for full details. ISCB eagerly supports the growth of regional and specialist meetings. One such meeting was the first ISCB Latin America Conference in Montevideo, Uruguay, which took place from the 13th to the 16th of March, 2010. New: Full list of accepted works including abstracts, and photos shared by the ISCB Latin America participants on Flickr. 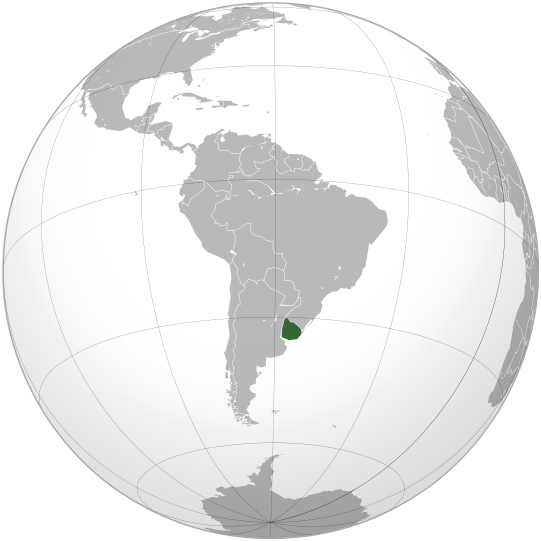 The first International Society for Computational Biology Regional Latin American meeting (ISCB-LA) will take place in March 2010 in Montevideo, Uruguay. Each year the International Society for Computational Biology (ISCB), through its series of conferences and meetings, brings together scientists and students from all over the world. ISCB understands the pivotal role that conferences play in the development of innovative ideas and scientific discovery. It is our goal that the ISCB Regional Conferences will provide the opportunity to every computational biologist worldwide to attend lectures in their region from world-renowned scientists, and share knowledge and discoveries with their peers. We are confident the field has and will continue to grow, and that the proper support and expansion of knowledge will translate into sustained regional innovation. We hope that through the ISCB-LA the bioinformatics and computational biology community in Latin America will continue to unify and flourish. Click here to view the Preliminary Program! July 22, 2009: Program has been modified!